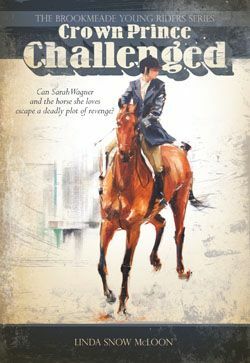 “Oops!” My face reddened as I toppled gently forward, landing awkwardly on my horse’s neck. 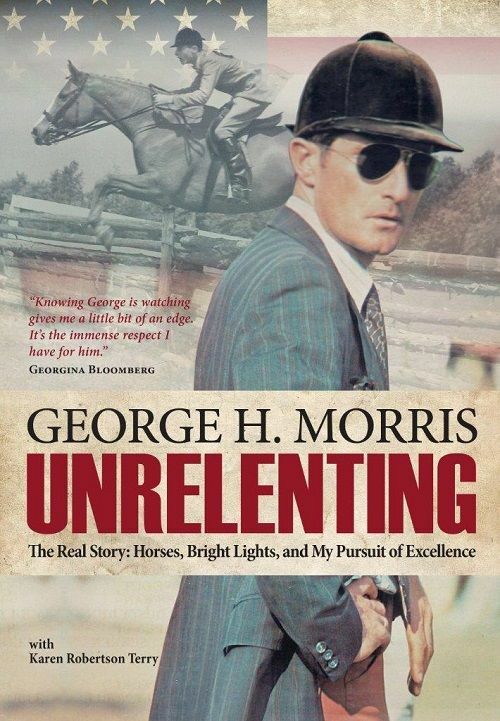 The mare was at a standstill, fortunately, and I was only following directions to grip with my knees while bending at the waist and attempting to touch my horse’s ears with both hands. As a lifelong rider, I knew I wasn’t supposed to grip with my knees, but until attending this Sally Swift clinic in May of 1998, I’d never understood why not. A moment earlier, under Swift’s direction, I’d been able to grasp those ears easily while inclining securely forward. “Keep your knees relaxed, keep your lower legs under you, and your calves resting on your horse’s sides,” Sally had said, and it worked. She reinforced this “grounding” in the saddle throughout the two days of lectures, demonstrations, and mounted and unmounted work. I had traveled from California to Brattleboro, Vermont, to attend the clinic as a journalist and participant. 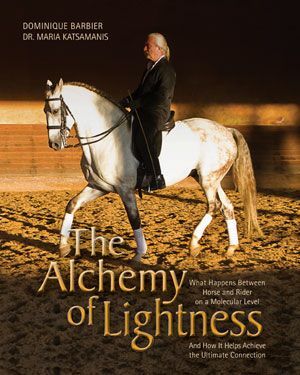 My article, “Getting Centered,” appeared in the December 1998 issue of Horse&Rider. I followed that with a profile of her, “Sally Swift Shows Us The Way,” in 2000. Sally was 85 at the time of the clinic. Frail and stooped, she moved slowly, leaning heavily on two canes. The instant she opened her mouth, however, she morphed from little old lady to general-in-command—her voice and demeanor were that compelling. One of many important things she taught us at the clinic was how to find our true center of balance, energy, and body control, deep within our abdomens. The concept is central not only to riding but also to martial arts (such as t’ai chi ch’uan), performing arts (ballet), and other sports (skiing and tennis). 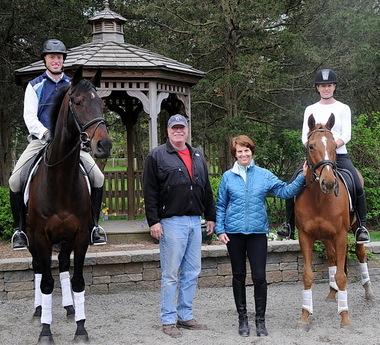 The ultimate lifelong learner, Sally had discovered these and other key insights—which were to revolutionize riding instruction—during what ordinary folk would call retirement. By the clinic’s end, I couldn’t wait to get home and try Sally’s methods on my own gelding. And, just as she’d promised, her techniques meshed seamlessly with my own riding instructor’s approach. They simply gave me insights for getting tab A into slot B. I’d heard the whats of riding all my life. Now, finally, I had a line on how. 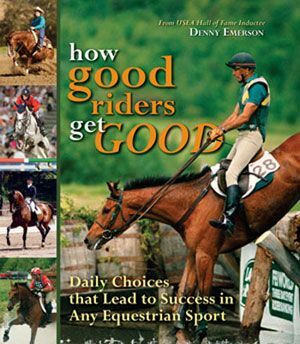 In his book HOW GOOD RIDERS GET GOOD, author Denny Emerson details the success stories of 23 top riders. 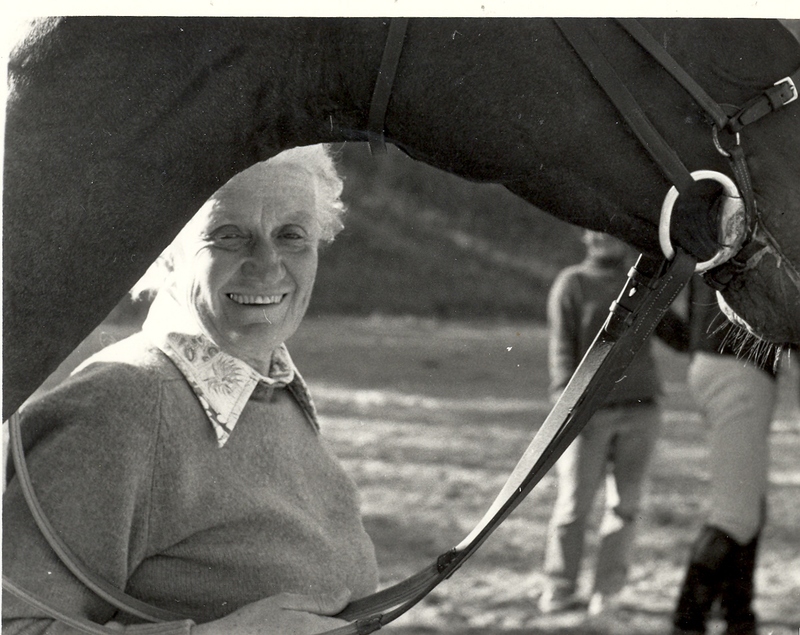 And it is perhaps no surprise that when asked to name some of the reasons they “got good,” many of these equestrians listed “Mom” way up near the top. And at least partly because of Mom. Thanks to all the supportive horse moms out there. Working toward being a show-stopper in the show pen? 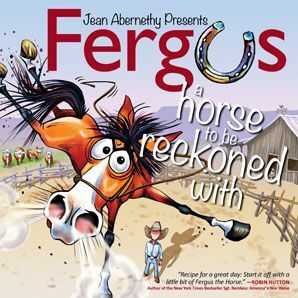 Ready for the cheers, whistles, and hollers to take over as soon as you and your reining horse step through the in-gate? 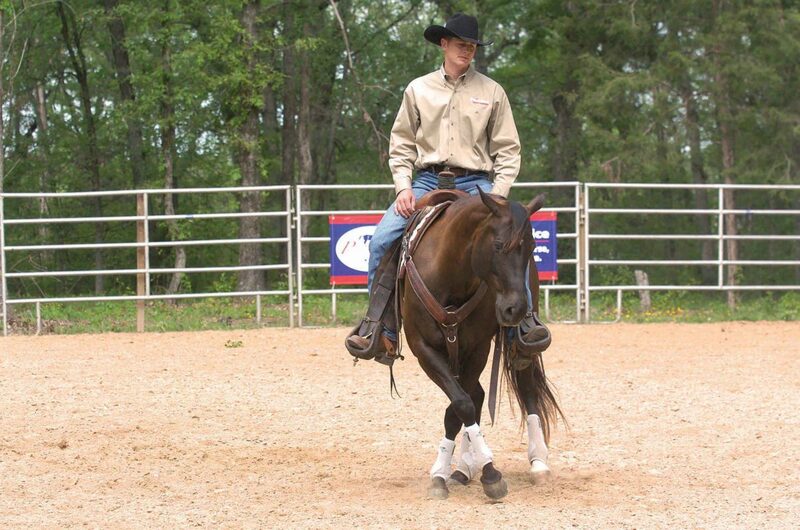 Here are TSB’s Top 10 Tips for riding better reining patterns. 1 Circles: Bend your horse’s body in a slight arc so you can see just a little bit of his inside eye. 2 Transitions: To speed up, lean your torso forward and lift your seat slightly out of the saddle (DON’T flap your arms!) To slow down, sit up straight and deeper into your “pockets”—the area of your behind near the back pockets of your jeans. 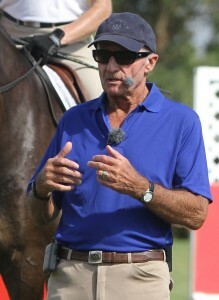 3 Rundowns and Sliding Stops: Time your “Whoa,” so it is when your horse reaches his peak speed in the rundown, and ask for the stop as the hind leg opposing the leading front leg is just leaving the ground. 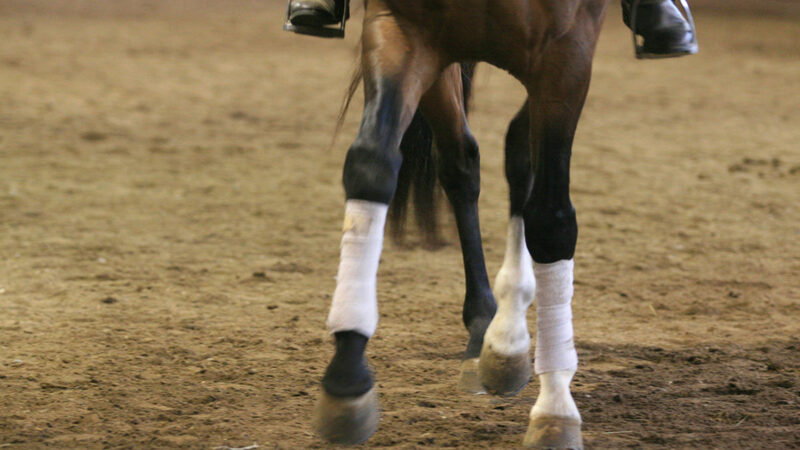 4 Rollbacks: Use only the cueing leg, keeping your other leg completely off the horse to avoid confusing him. Lean forward slightly to avoid getting behind the motion and left in the dust—literally! 5 Spins: Look out over the tip of your horse’s outside ear—do not focus on it. And don’t look down! This will make you feel like the entire world is moving. Don’t rely on the hollers of the crowd to count your spins—watch the judge and use him as your point of reference as you keep track in your head. 6 Back-Ups: Stay out of your horse’s way. Don’t lean back or pull on your horse, or he’ll just pull right back. Come to a complete stop, lift your rein hand slightly and make contact with the bit, push your feet forward, and cluck. Bump the horse softly with your heels if necessary. 7 Hestitations: When a pattern calls for a hesitation between maneuvers, complete the first maneuver then effectively “pause”: keep your body still and take a deep breath or two before asking for the next. This demonstrates that your horse is waiting for your cue rather than anticipating. 8 Be Aware of Your Free Hand: Do not tense, curl, or flap your free arm during your pattern. Every movement in that limb can affect movement in the rest of your body. 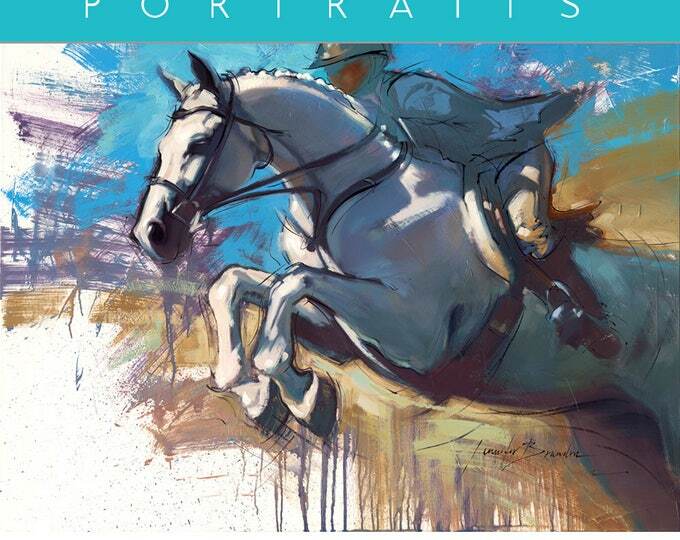 It also detracts from the overall picture you and your horse present. 9 Memorizing Patterns: Break the pattern into sections, rather than individual maneuvers. Write the summaries on index cards to keep in your pocket, and “ride the sections in your mind,” then double-check your accuracy on your flash cards. 10 Don’t Overpractice! It can be tempting to practice your pattern over and over, but this teaches your horse to anticipate the next maneuver before the one he is doing is complete. Practice one or two maneuvers during a practice session, and trust that when you do link them all together in competition, your hard work will pay off. For more great reining, riding, and horsemanship tips, visit the TSB online bookstore, where shipping in the US is FREE. Did you get our Thank You Coupon for our blog readers? 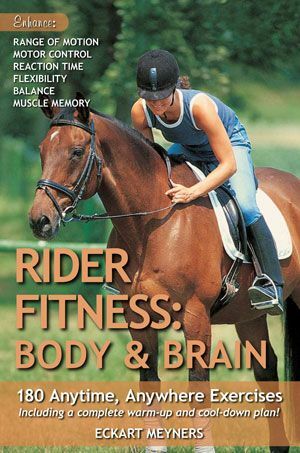 If not, CLICK HERE to get a special discount on your next book or DVD purchase at www.horseandriderbooks.com. Western States Horse Expo is billed as the largest and most comprehensive equestrian exposition in North America—and it’s right around the corner! West Coast horse lovers and equestrians should be sure to make it to the Cal Expo in Sacramento, California, June 7 thru June 9, 2013. There they’ll find an extraordinary lineup of riding and training talent, and equine experts from every area of horse management and discipline. 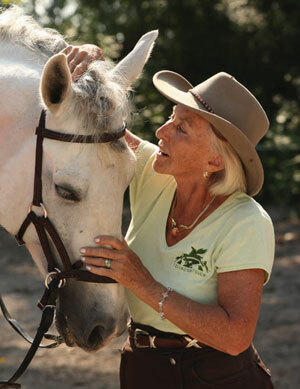 Sandy Collier is author of REINING ESSENTIALS. SANDY COLLIER is an internationally recognized reined cow horse judge and clinician, an NRCHA & AQHA World Champion, and she is ranked among the year’s top five reined cow horse all-ages, all-divisions riders, as well as in the top 10 for NRCHA earnings. Sandy was the first and only woman horse trainer to win the prestigious NRCHA (National Reined Cow Horse Association) World Champion Snaffle Bit Futurity. In 2011, she was inducted into The Cowgirl Hall of Fame. 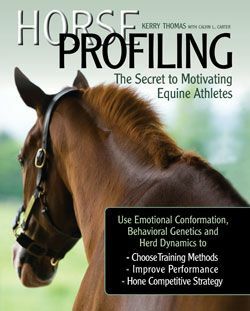 Sandy’s book REINING ESSENTIALS is a Western training book like no other, filled with essential lessons for everyday performance, whether in the show pen or working out on the range. Sandy is presenting in the Ram Trucks Freedom Arena all three days—check the Western States Expo website for times. 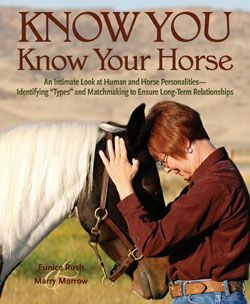 Dr. Nancy Loving is author of ALL HORSE SYSTEMS GO. NANCY LOVING, DVM is a 1985 Colorado State University’s School of Veterinary Medicine graduate and equine athletics expert. 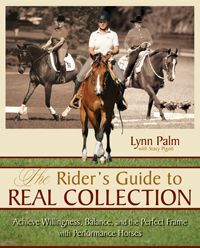 Her book ALL HORSE SYSTEMS GO addresses the singularly challenging needs of keeping the working horse in working order. 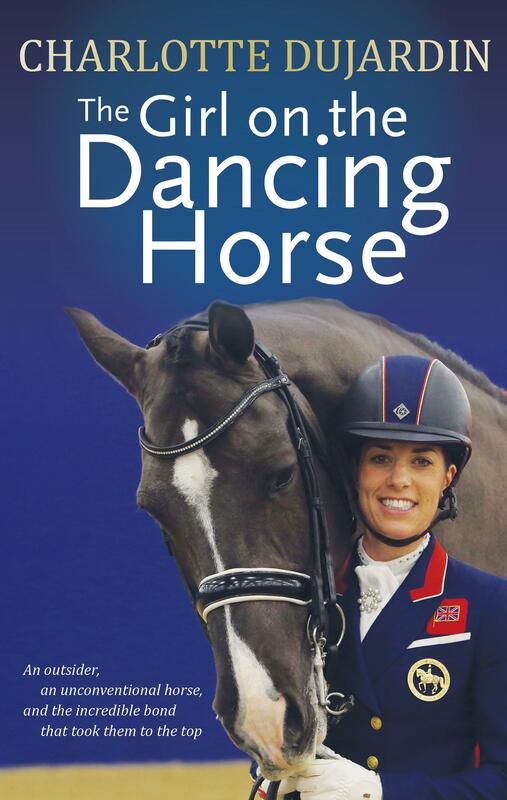 With chapters devoted to cardiovascular, respiratory, neurological, digestive, and reproductive health, as well to the hooves, bones, joints, tendons and ligaments, muscles, and skin, Dr. Loving provides a thorough understanding of the intricacies of the equine body, applying her scientific knowledge to the practical needs of every pleasure, sport, and performance horse owner—whether you simply hack with friends or compete at the highest level. 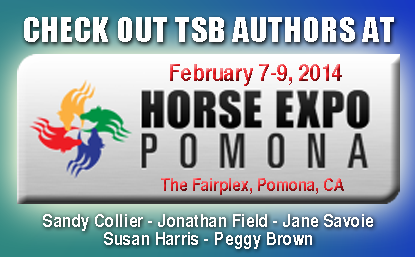 Nancy is presenting in the Horse Expo University all three days—check the Western States Expo website for times. 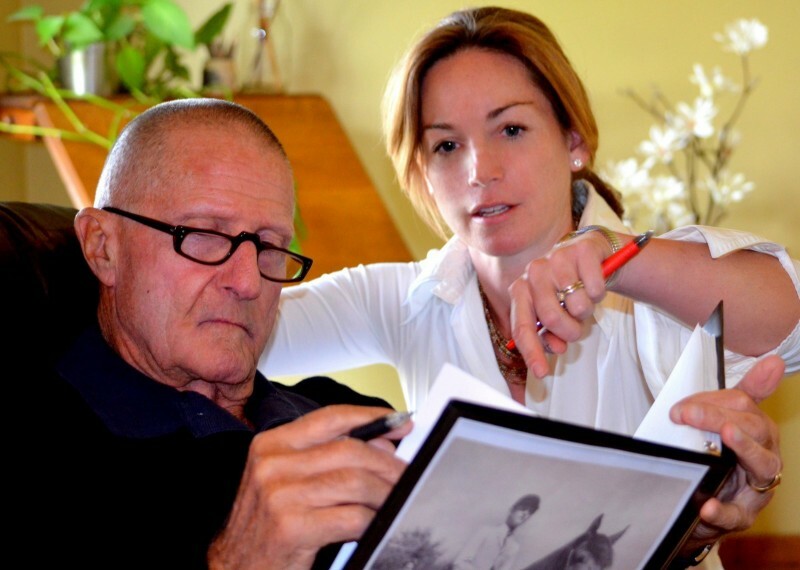 Dr. Renee Tucker is author of WHERE DOES MY HORSE HURT? 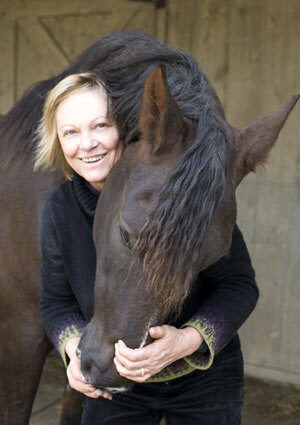 RENEE TUCKER, DVM is an equine veterinarian certified in chiropractic and acupuncture. She has 18 years’ experience in her fields and says her aim is to empower horse owners with veterinary and chiropractic know-how, so they can help their horse themselves. 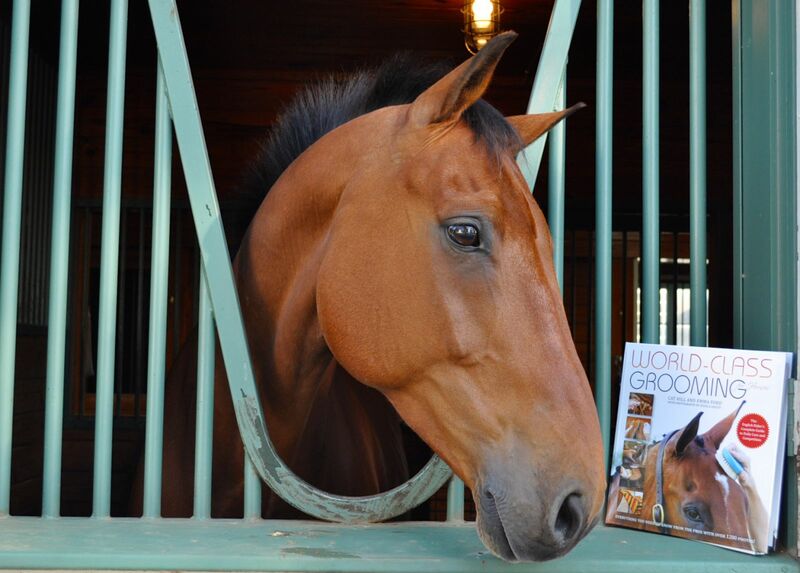 Dr. Tucker’s bestselling book WHERE DOES MY HORSE HURT? 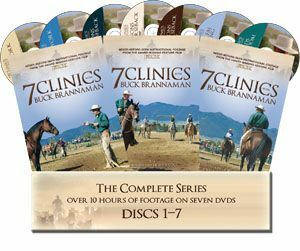 introduces 27 simple body checkups you can do on your horse to help determine when and where your horse hurts, and who to call (vet, farrier, masseuse, saddle fitter, chiropractor?) to help him feel better. 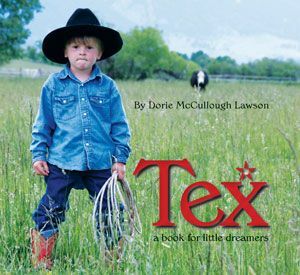 Dr. Tucker will be answering questions and signing books in the Book Corral all three days at Western States Horse Expo. CLICK IMAGE to order Sandy Collier’s book. CLICK IMAGE to order Dr. Nancy Loving’s book. CLICK IMAGE to order Dr. Renee Tucker’s book. Check out the latest editon of EquineVIP.com! Host Susan Ashbrook interviews TSB author and Cowgirl Hall-of-Fame Inductee Sandy Collier. Susan and Sandy talk about the path Sandy followed, from the East Coast and English riding to living in California and becoming one of the top women riders in the reined cow horse world. 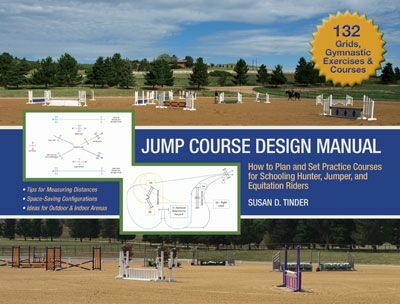 Sandy also shares a little about her concepts of “Riding Smarter,” one of the themes of her book REINING ESSENTIALS, as well as her work supporting and raising money for her local therapeutic riding groups. 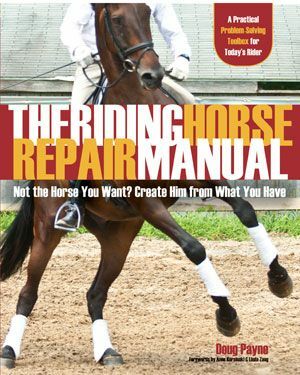 REINING ESSENTIALS is available at the TSB online bookstore, where shipping in the US is always FREE.